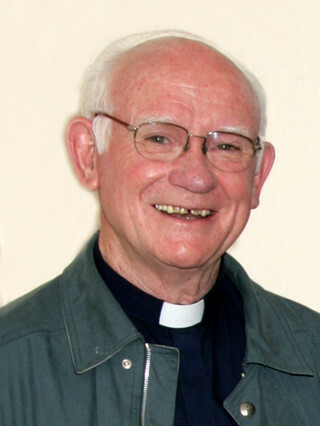 He was ordained there on 21st Dec. 1966, he was the first and only priest ordained from the townland of Kilbeg. Fr. Tom Jordan was born in the little townland of Kilbeg, near Monivea in Co. Galway in July 1941 being the sixth of seven children. After doing his primary education in Garbally Primary School, he entered the Sacred Heart College in Cork in 1955 where he did his Inter Cert. In 1958. He then studied for Leaving Cert. in Coláiste an Chroí Naofa, Carraig na bhFear. In 1960 he entered the Novitiate in Myross Wood where he also did two years of Philosophy. In 1963 he went nearer home to study Theology in Moyne Park, Co. Galway. He was ordained there on 21st Dec. 1966, a most memorable event for Kilbeg as he was the first and only priest ordained from the townland. After a few months in the Annals Office in Western Road, Cork, while awaiting his visa to travel to take up his first appointment in the Ministry, in November, 1967, he found himself working with a diocesan priest in the Blessed Sacrament Parish in San Antonio. In August 1968, he took up duty in St. Henry’s where Fr. Jim Harnan had recently been appointed Pastor. After three years at St. Henry’s he was appointed to work with Fr. Jerry Murphy at St. Anthony’s. His two years there gave him a valuable introduction to Spanish and Mexican culture that would serve him well in years to come. Two years chaplaincy at the Texan A&I University, Kingsville, gave him a new and useful insight into youth ministry. Tom was always most available and soon he was on the move again, this time to West Texas. Our Lady of Guadalupe church was one hundred per cent Mexican or MexicanAmerican and the other church was ninety five percent Anglo with some of the better off Mexicans also attending. Sayder was his first introduction to the Bible Belt where he spent seven valuable years. Here he built the C.CA. building and began the building of a much-needed new church. Tom has great memories of this time and the strong Cursillo movement and vibrant youth club. After a year´s work in St. Ann´s, Stamford, he returned to St. Henry´s, in San Antonio, this time as pastor. However, after only four years a need arose in Our Lady of the Holy Rosary parish, Sun Valley, Los Angeles, and Tom was called on again to fill the gap. Six and a half years in Sun Valley, with the vast influx of Hispanics from Mexico and Central America was a tremendous but most rewarding challenge for him but also a most valuable preparation for subsequent years. On finishing here Tom had completed twenty six years on the American mission and richly deserved a rest. He did a sabbatical year in 1993/94 which saw him deciding to opt for work in our Venezuelan mission. On the 31st. August 1994, Tom touches down in Maracaibo and thus begins a new chapter in his life. His first exposure to Venezuelan cult and culture was as assistant pastor to John Coffey in the parish of Los Olivos. He was assigned to take care of the barrios in and around Francisco de Miranda where John Jennings had built a beautiful Church. He continued with the open air masses begun by John Coffey where now stands the beautiful parish church of the Blessed Sacrament in Las Lomas. In July, 1997, he was appointed pastor of Our Lady of Coromoto parish in Los Olivos. While attending assiduously to the needs of the well established community of the parish Church, Tom reached out to the poor barrios with an outdoor Sunday Mass and formation of basic Christian communities.After only four years, Tom was again asked to sacrifice this well established parish, which was then handed over to the diocese. He was appointed this time to a most difficult parish, Santa Cruz, Pro Patria in the hills of Caracas. Geographically, it is highest populated area of Caracas with its network of stairs rising to the summit from which on a fine day the view is breathtaking. The view may be great but walking up and down takes its toll and Tom at the end of 2006 had to have a hip replaced but very soon he was back climbing again. Here Tom made a reality a dream he had in Maracaibo. With generous aid from his home half Parish, Skehana, he built a soup kitchen where fifty people are served a meal from Monday to Friday. With European Community and Provincial aid there are many promotion and development courses available in the parish. Wherever there is a need, Tom is there. He accompanied the people in converting a former nursery that had been abandoned into a Chapel in Yaguara, on the other side of the hill and a very active community has grown there. With the great work of Fr. Vicente Buitrago and our Irish student, Alan Neville, a training program for Catechists was set in place and religious formation of youth is growing. After six great but demanding years Tom finishes his term in the parish in July. After forty golden years of admirable availability to the congregation and dedicated service to the people he loves, from whom he receives lots of appreciation and gratitude, Tom looks forward to the 6th. July when six of the original class will go back to their roots to celebrate. As we and the people thank the Lord for Tom, for his nearness to the people, for being a great shepherd for them, for being the Heart of Christ in their midst, we look forward to another glorious chapter in his life and ministry. This page was added on 06/02/2015.